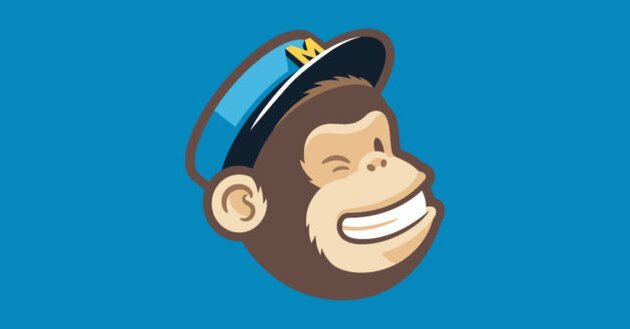 I’ve decided MailChimp isn’t the mail subscription service I was looking for. Instead, I’ve installed a WordPress plugin called “Email Subscribers & Newsletters“. If you’d like to receive updates from this website blog, scroll down and complete the form in the Footer section. I got a lot of positive feedback from my recent Hospital, Surgery and Recovery blog post, some people didn’t even know I had a blog until I shared that post on Facebook. One person said I should share all my posts on Facebook, but I don’t want to spam everyones social media feeds with my ramblings. I’m not really a big fan of Facebook anyway, so instead I’ve decided to add a subscription form to this blog, so people can sign up to get updates if they like. I’ve been playing around with MailChimp today, one of the most popular web subscription and email marketing platforms. It’s free for under 2000 subscribers, so it’s not going to cost anything to simply add to the footer of this site. I can also add it separately to any blog post or page (like I have below). Once I’ve got my head around how MailChimp works, I’ll probably add it to some of my other sites too, such as Vic Pics. Meanwhile, If you’d like to get an update email whenever I publish another blog post, fill in the form below. See note above. I’ve been thinking about adding some photo galleries to this site, my personal site, for some time. 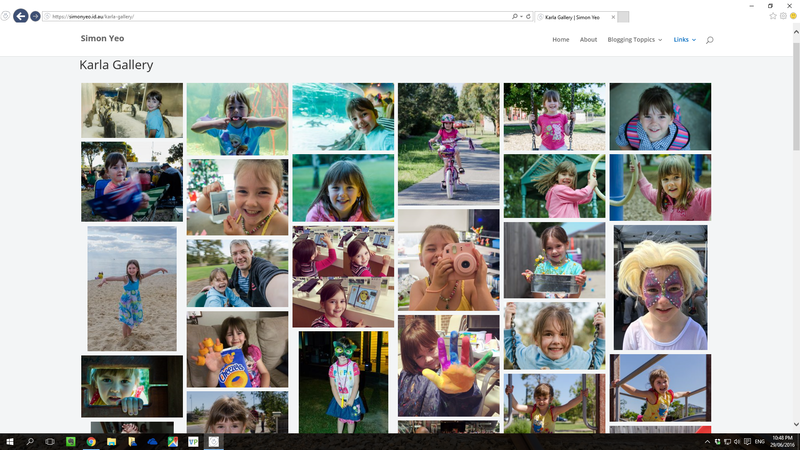 After looking at a couple of other gallery options, I’ve decided on the Enviro Gallery plugin for WordPress. To kick things off, I’m starting with a collection of photos of my daughter, karla. To check it out go to simonyeo.id.au/karla-gallery. Watch this space for more galleries, coming soon. Just a quick note to confirm this site now has an SSL Security certification. Depending on your browser, that’s the green padlock and https, instead of http, at the beginning of the URL. Whether you call it the "slug", "permalink" or "URL" the web address can get a bit messy and complicated, depending on your WordPress settings, so I've cleaned things up little for my personal website and blog. Traditionally, for various reasons, the URL web address would include a date element, such as the year and month of publication, and often a category element as well. All that extra information in the address bar isn't necessary these days, so I've decided to keep it simple. Now all you will see when looking at a single post on this site is the blog title. 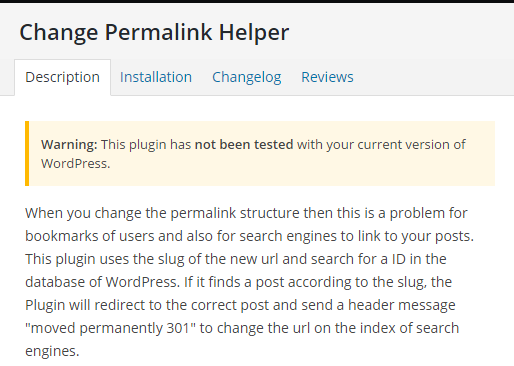 Having made the changes to my permalink slug settings, I need to look after any links to my site that use the old URL format, so I've installed a WordPress PlugIn called "Change Permalink Helper" which will automatically re-direct visitors to the new format address.